Over-the-Cube™ holders with personalized name plates you can design online! Easy to move and change, never damaging the fabric. Scratch resistant, coated metal last for years. 8″ or 10″ wide and 1″ or 2″ tall. 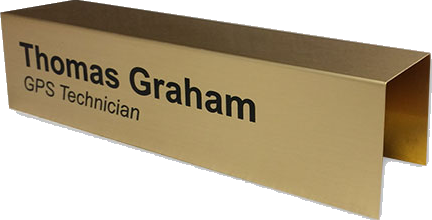 Single, double and triple nameplate holders are great for employee name tags or office signs. Heavy-duty aluminum for lasting durability. Dozens of color combinations for the nameplate holder and base. 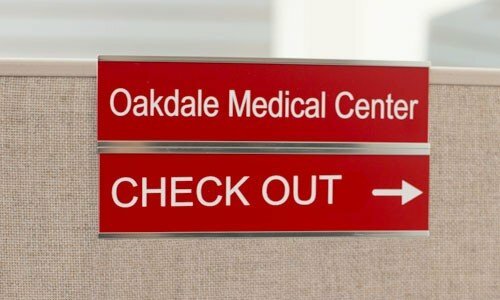 Custom-printed cubicle signs with names, logos, graphics and more. 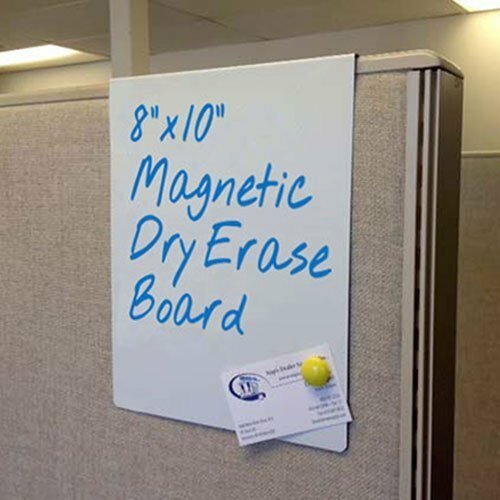 Easily slide over any cubicle wall, never damaging it. 4 Sizes perfect for employee name tags or signs around the office. 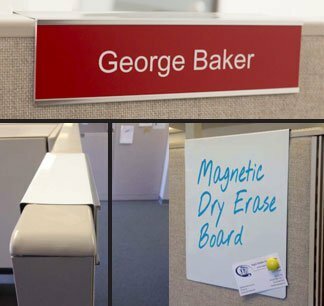 A combination nameplate holder and whiteboard for cubicles. 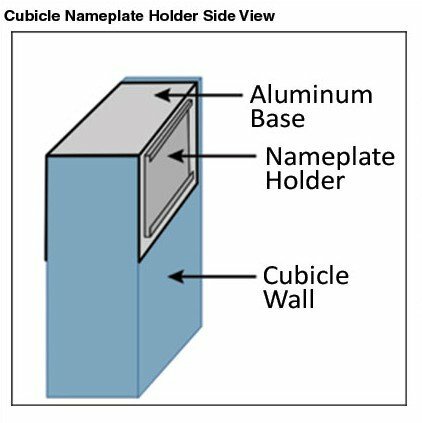 One side has a changeable name plate holder for the outside of the cubicle. 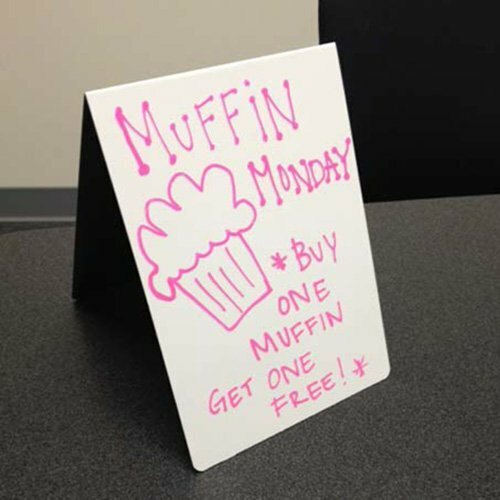 The other side is a full whiteboard – choose 8 x 10 or 11 x 17 size. Easily slide this whiteboard over any cubicle wall. Erases cleanly and is also magnetic. 3 Sizes available: 8 x 10, 11 x 17 and 18 x 24. Display messages on countertops, tables and more. Great for break areas, retail counters and lobbies. 5 x 7 size is convenient and versatile.